And, biomimicry (from bios—life, and mimesis—to imitate) is a discipline that attempts to mimic nature’s time-tested approaches and strategies, to find solutions to everyday problems. For instance, researchers are closely studying—and hope to replicate—how spiders can produce silk that is so elastic. Or how lizards use micro-nanomorphologies on their feet to cling upside down on inclined surfaces. Prasoon Kumar, a research scholar with the IITB-Monash Research Academy, is working on a biomimicry-inspired project—‘Scalable Manufacturing of Bio-inspired, 3D Micro/Nanofluidic Devices Using Different Microtechnologies’. His project specifically focuses on using the highly evolved organisation of ‘fish gills’ to form the design basis for advanced gas/solute exchange systems. The IITB-Monash Research Academy is a collaboration between India and Australia that endeavours to strengthen scientific relationships between the two countries, and graduate research scholars like Prasoon study for a dually-badged PhD from both IIT Bombay and Monash University, spending time at both institutions to enrich their research experience. Some of the biggest applications of this research will be in the biomedical and chemical industries. “I chose this project as it can help ameliorate biomedical problems such as dialysis and oxygenation, which cause suffering and agony to millions. The underlying principle for dialysis in kidney diseases and oxygenation in lung devices is diffusion under convective flow. Therefore, the basic design, fabrication, and characterisation of micro/nanofluidic devices may provide avenues to develop innovative, inexpensive, effective, patient-friendly and durable biomedical solutions,” he adds. 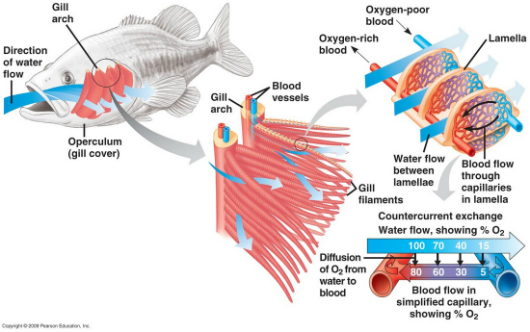 Explaining his work so far, Prasoon says, “Apart from the development a fabrication process for bio-mimicking nature inspired multiscale structures, the project involved theoretical analysis of structural features of fish gills at different scales. Our investigations revealed that a few parametric ratios and gill dimensions are conserved irrespective of the weight of fish. With the proposed scalable fabrication process, we successfully demonstrated fabrication of bio-inspired leaves and a part of fish gill secondary lamella. The process involved novel combination (patent under process) of technologies like electrospinning, spin coating, micro-molding and Hele-Shaw cells. Our synthetic leaves exhibited better capillary-assisted evaporative-pumping capabilities than transpiration-assisted pumping reported in literature along with sustaining a suction head: the attributes which can be exploited for solar distillation and capillary pumps. This story was written by Krishna Warrier. Copyright IITB-Monash Research Academy.